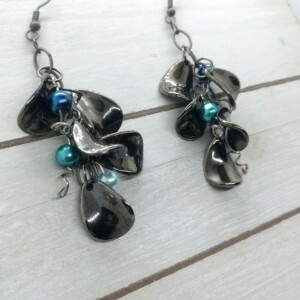 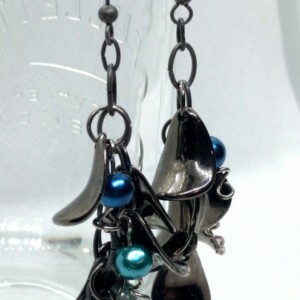 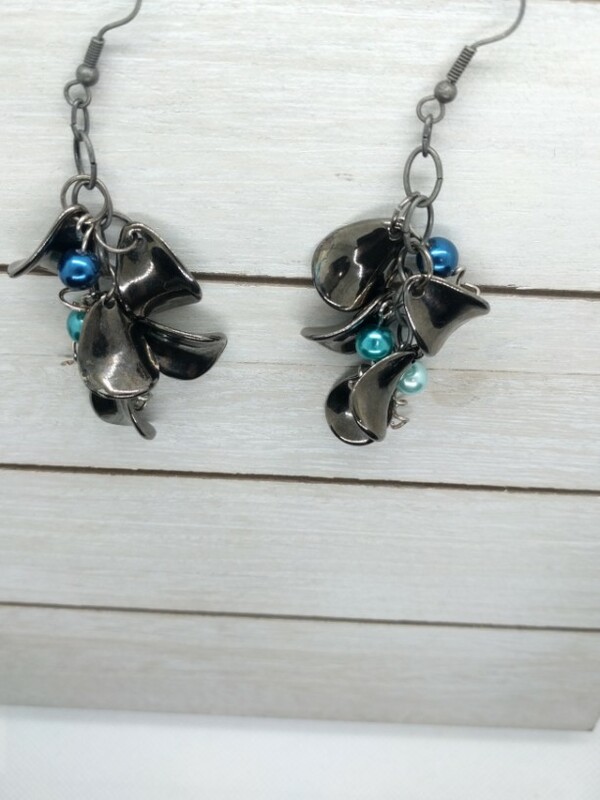 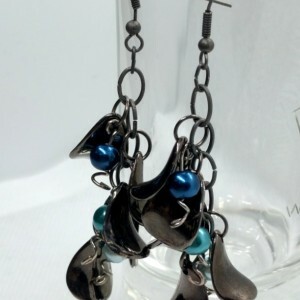 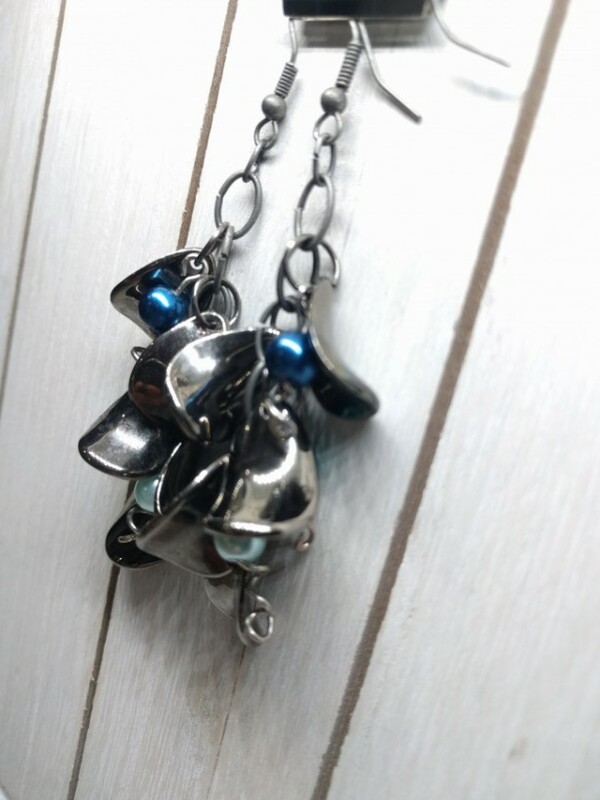 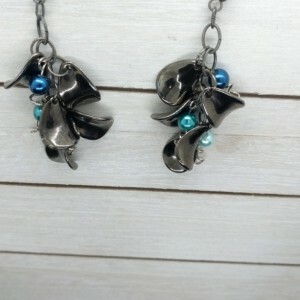 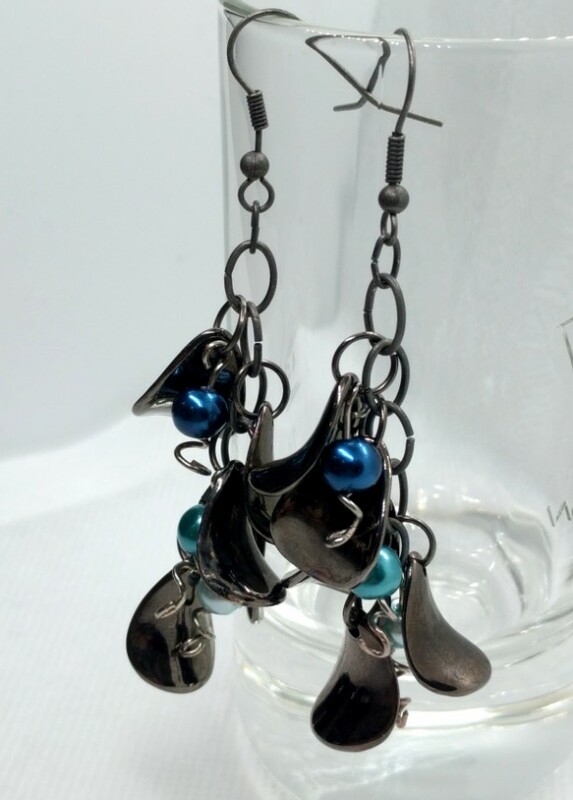 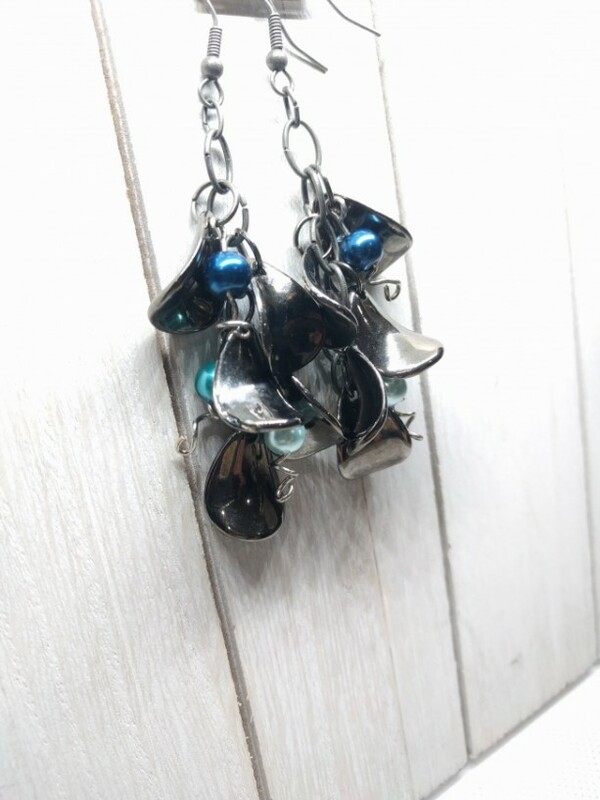 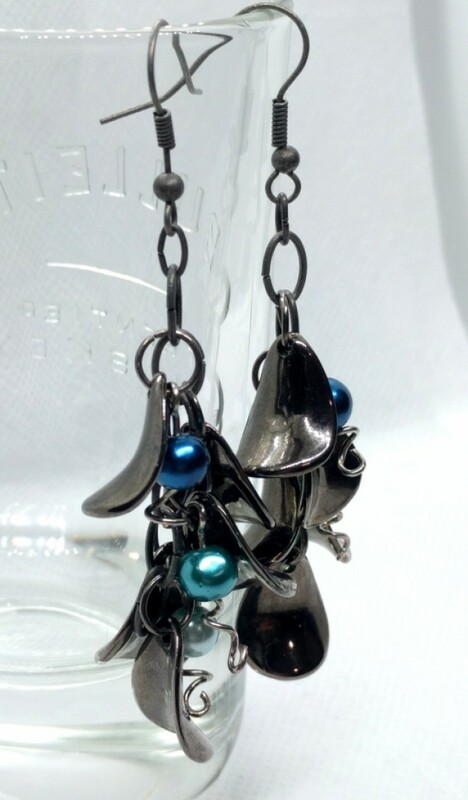 These are a very fun pair of dangle earrings - dark chrome/silver petals cascade from an oval link chain, accented with blue, teal, and light teal glass beads on silver spiraled pins. 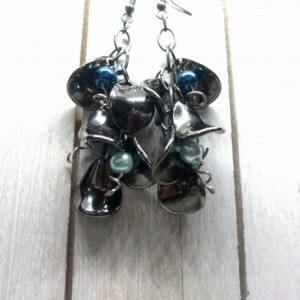 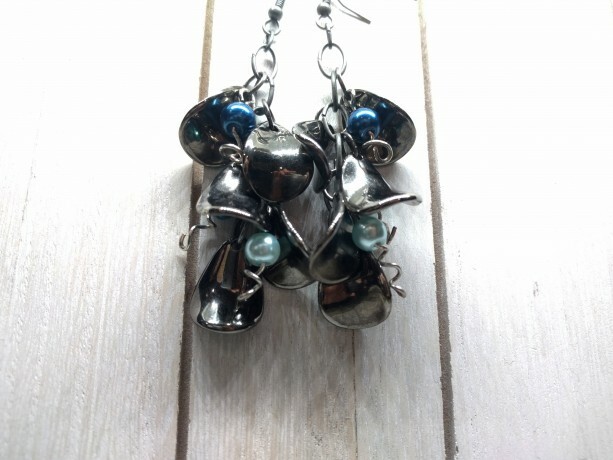 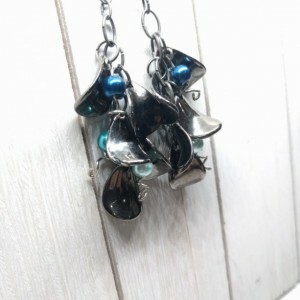 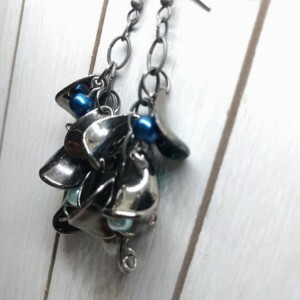 Mounted on hooks, these are lightweight and have great movement, showing peeps of color while worn. 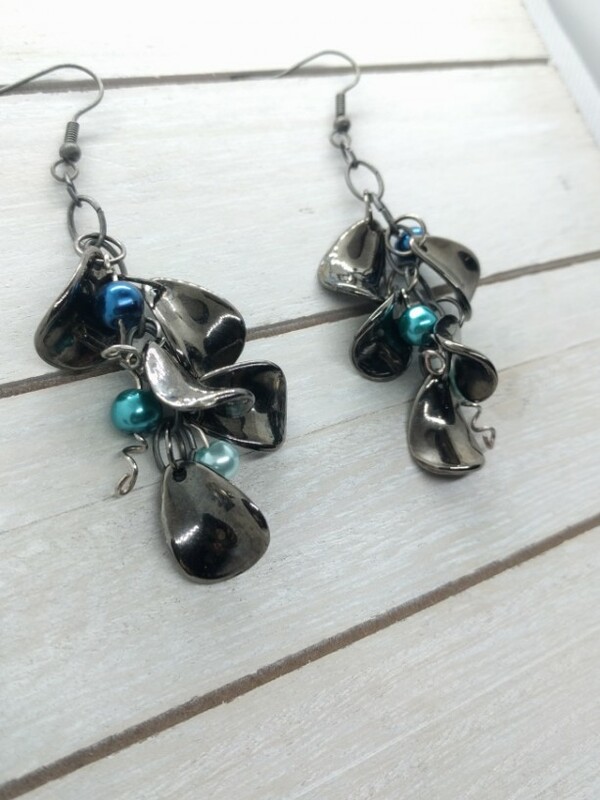 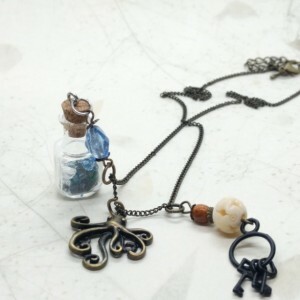 These will be a great addition to any wardrobe!